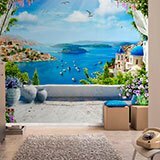 Wall mural Balcony to the Aegean. 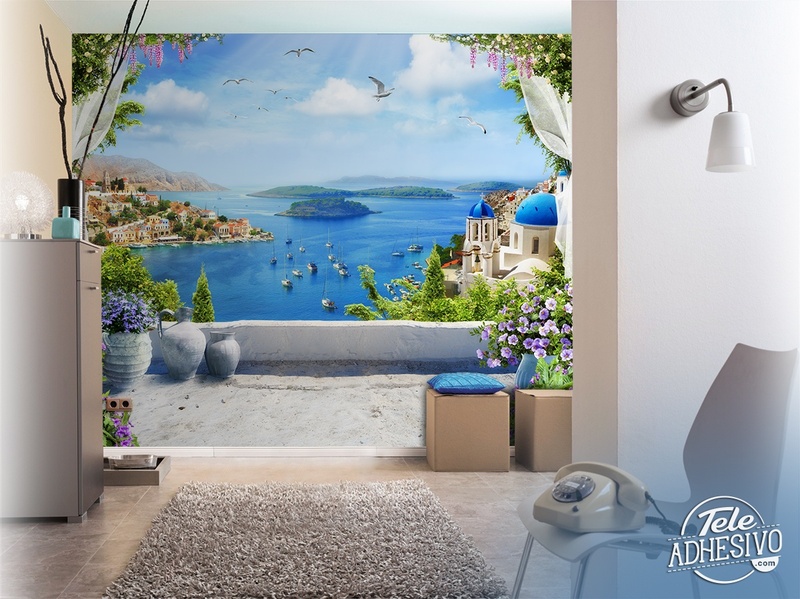 Spectacular views from the Aegean balcony, located in the town of Oia, in the archipelago of Santorini, Greece. 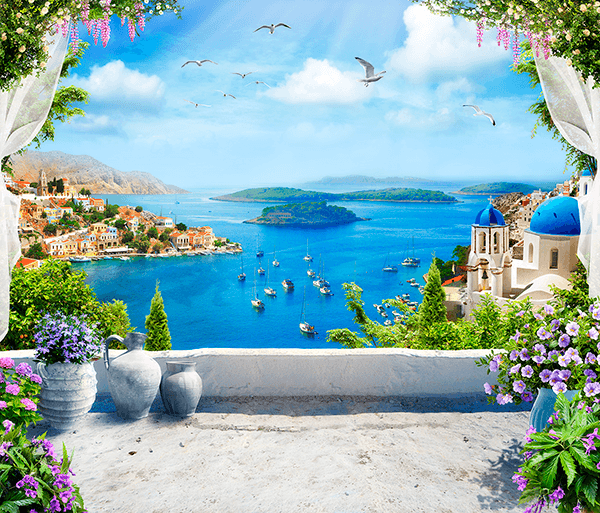 On the right we can see its famous church with blue roofs, on the left the village and in front of a group of boats goes out to sea. Size: 37 x 33 cm.